According to The Washington Post, officials in California want to "reverse decades of marijuana convictions that can make it difficult for people to gain meaningful employment and disproportionately affect low-income minorities." We worked to help create a legalized and regulated process for legal marijuana, but we also wanted to make sure we could help — some way, somehow — repair the damages of marijuana prohibition. In Aug. 2016, the DPA reported that almost 500,000 people had been arrested for pot crimes in California from 2006 to 2015. A report earlier this year found that 77 percent of people arrested in 2015 for weed-related crimes in Oakland were black. This led officials there to launch the Equity Cannabis Permit Program in May of this year, which allows entrepreneurs to sell marijuana when recreational pot becomes legal in California on Jan. 1. As Alyssa Jeong Perry of member station KQED reported last month, the program will give priority to people who have been arrested and convicted for cannabis crimes after Nov. 5, 1996, when medical marijuana became legal in the state. Certain communities have been policed for the same activities because we know that white people use drugs and sell drugs at approximately the same rate that black and brown people do, but they don't get jailed at the same rate. 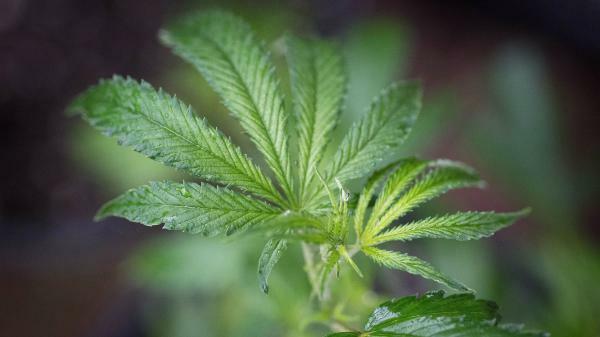 Nine states now have laws related to expunging or reducing marijuana convictions, according to the National Conference of State Legislatures but marijuana is still illegal under federal law. And not everyone in California is high on the idea of legalization. Jill Replogle, of member station KPCC, reported earlier this month that "73 percent of cities and counties in California currently ban commercial cannabis businesses."